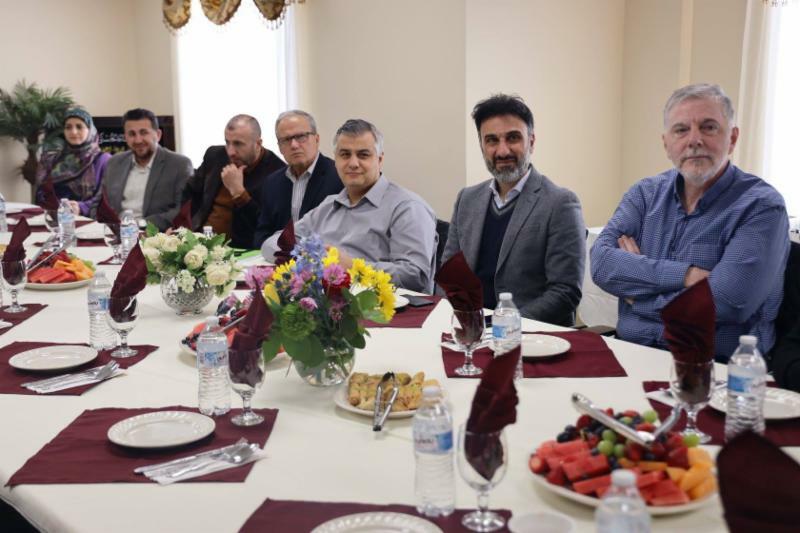 Posted on Thursday 04/18/2019 at 11:28 a.m.
DEARBORN HEIGHTS- The Islamic House of Wisdom is preparing to host its 2019 Semi-Annual Fundraising Dinner at the Bellagio Banquet Center at 23900 Warren Avenue here on Thursday, April 25, inviting a diverse group of local and international peace advocates to speak during what has become a challenging time for Muslims and other victims of terrorism worldwide. This year’s award recipients and speakers include Dr. Thomas Walsh, the chairman of the Universal Peace Federation, dr. Robert Bruttell, the president of Michigan Interfaith Leadership, and Imam Abdallah El-Amin, the founding imam of the Detroit Unity Center. The Universal Peace Federation is an international and inter-religious network of individuals and organizations including representatives from religion, government, civil society and the private sector. A representative from the government of New Zealand, a country that has been been devastated by recent terrorist attacks at two mosques that left 50 dead, has also been invited and is awaiting confirmation according to Imam Mohammad Ali, the spiritual leader of the IHW. The event falls on Anzac Day in New Zealand, a national day of remembrance commemorating Australians and New Zealanders who served and died in wars, conflicts and peacekeeping operations, but the IHW is hoping to finalize a speakers to visit during the busy holiday season to share perspectives on the tragic event and the continuing quest for interfaith understanding and peace. The dinner comes at an important time for the Shia’s Muslim community as well. “This is actually a very exciting time and subject before the month of Ramadan and especially on the week of the birthday of one of our imams, Imam Mahdi,” Elahi said. “"That is promising peace and justice for humanity, so we thought that to turn this fundraising to an outreach occasion and opportunity to make it as part of the mission we have at the House of Wisdom which is about faith and education, engagement and standing for truth and justice. The visiting delegation were welcomed by imam Elahi, hajj Talal Turfe, Dr Hassan Amerikia and some IHW members. 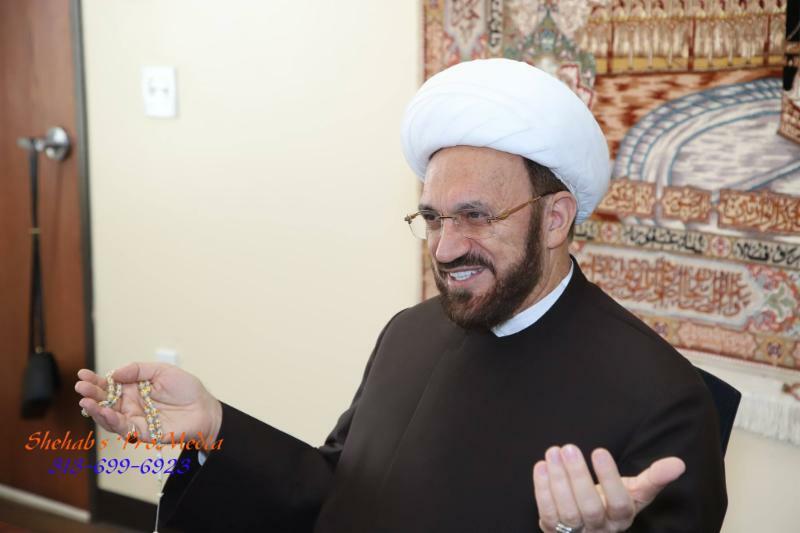 Imam Elahi admired the leadership of Sayeda Robab and the services of her foundation as the continuity of legacy of Imam Musa Alsadr’s mission, vision and amazing outreach and call for unity! Hajj Talal Turfe welcomed the sayyeda and spoke about the exceptional and unique role of IHW, specially in the areas interfaith, engagement and fighting ignorance and Islamophobia! Imam Elahi thanked Dr Talal for his encouraging words and his role as one the greatest intellectual community leaders and authors of so many enlightening books! Hajja UmRamzi, the head of IHW women committee also made a statement welcoming Sayyeda Robab and honoring the services of Alsadr foundation! The meeting ended with a spacial New Spring and Nowruz dinner in an atmosphere of faith, fellowship and promise to work together for serving and supporting the most suffering segments of the society, the orphans! Not only the orphans who lost their physical parents but also the spiritual orphans who may lost their path and directions of their life journey. Dr. Ali Ajami, the former ambassador of Lebanon and an active community member in Dearborn, visited IHW and met imam Elahi, inviting him to attend the first conference in education to be held at Universal Academy in March. The conversation focused on the central role of education in our current world and the fact that any success, prosperity and progress depend on high learning and education. Through knowledge we learn about ourselves and our universe and that guides us to God, Who is the origin and the end of both man and the world. 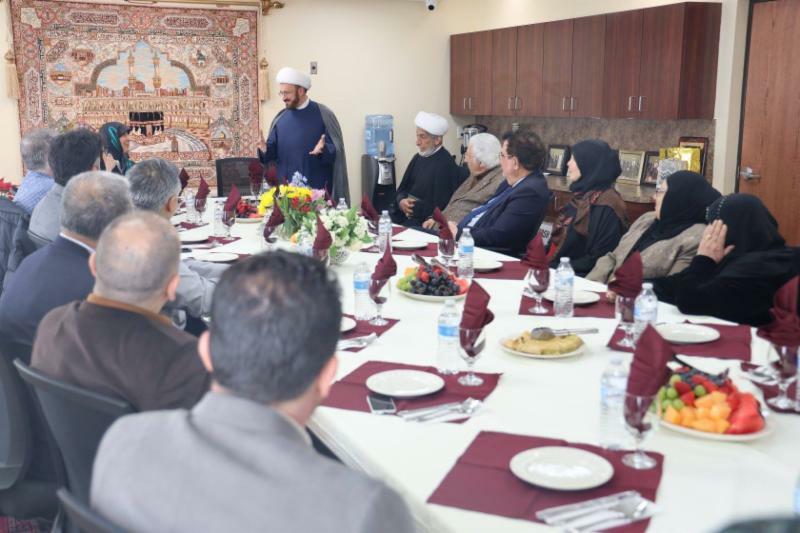 Imam Elahi also emphasized on the importance of interfaith specially for the Muslim community in the Western World and asked Dr. Ajami to hold some community meetings promoting dialogue and understanding between Muslims and non-Muslims. The Holy Quran is a Book of Dialogue, Interfaith and Outreach! Though the Quran is in Arabic language, it’s mission and audience are universal! Prophet Mohammad was a Messenger of Mercy for Mankind! Islam is a religion of reason, knowledge, spiritual struggle for purity of soul, responsibility, faith and action! Islam promotes peace, compassion, forgiveness, reconciliation and love, yet the foundation is justice and truth! Islamophobia is a disease that is hurting not only Islam and the Muslims but America and the world! The criminal groups like isis have been supported by the same forces which support Islamophobia! The Quran honors Jesus and Mary over 70 times! Mary is the only lady mentioned by name in the Quran! There is no room for racism in our faith! Diversity is a Divine desire, it was possible for God to make us all the same and with one religion, but He made us different so we know one another! Knowledge is the key for success, civilization and salvation! “I Do” a declaration of a lifelong compassion, love, peace and happiness! While the Michigan outside weather is extremely freezing, two individuals met at IHW Marriage Foundation Hall to exchange the current cold climate with the heat of harmony through the union of a permanent marriage and sharing a journey of love, companionship and comfort inshaallah. Imam Elahi performed their marriage, prayed for Shaun and Amani, wished them a healthy and happy family fulfillment and expressed his congratulations to the new couple and their respectful families! In a turning point memorial service for DEARBORN late journalist, the editor of Al-Sabeel magazine marhoom Mohammad Jaber, a big number of community religious, cultural, political and legal leaders gathered at IHW to express condolences to the Jaber family, sharing their memories of Mohammad’s life! The passionate and inspiring speaker of the memorial services included Judge Sam Salame, Osama Siblini, Adnan Beydoun, Kamil Bazzi, Zouheir Alawieh and Sara Jaber. At the end Imam Elahi addressed the audience and prayed for deceased’s soul and spoke about the power of journalism in enlightenment of societies and making a difference in the social and political environments. Imam mentioned that the media is mightier than military's since it’s dealing with the people’s souls not just the soldiers. This is why the corporations do their best to control the corresponding networks to mislead the people for the sake of their greedy purposes! While the media machine usually operates as a business, exchanging its independence and freedom with money and politics, there are so many courageous, dignified and heroic journalists who travel to the most turbulent and tragic parts of the world, risk their lives and sacrifice all they have to speak for the victims of injustice and to share the truth with those who live in the darkness of ignorance and propaganda! Imam referred to some famous writers including Oliver Stone and his most honest three minutes speech during an Award ceremony of “the Writers Guild of America” in 2017. Honoring personality and professional journalism and service of late Mohammad Jaber, the imam asked the community to show support for their servants before they mourn their departure! Now that sadly Al-Sabeel magazine is gone, let’s appreciate another great weekly paper still serving significantly, it’s called “Arab American News” under the leadership of Ostad Osama Siblini! Imam Elahi added that despite of looking at national publications such as NYT and Washington Post almost every day, yet every Friday morning while getting ready for Friday prayer he looks at AAN and would find so many interesting local and international articles and very beneficial subjects. Imam said it’s true that sometime AAN publishes controversial issues which might be part of media nature or human imperfections but looking at the amount of hard work and dedication behind this great service, we should honor Mr. Osama Siblani and his staff for advocating a good direction for our community and country! May Allah Bless his soul and make his journey peaceful. Our condolences to the entire Osman family. We are from His Kingdom and to His Kingdom we will return. The smartest people are those who keep remembering their meeting with the Lord, get ready for it and fulfill their faith and do their duties in this Donya! Goodbye to Community Journalist Mohammad Jaber at IHW! A man known for his friendship, love, passion, smiles and sincere media services to our community started his eternal journey after years of health struggles and sufferings! Community members and leaders came to express their condolences and sympathy to the Jaber family! Imam Elahi spoke about journalist Mohammad Jaber’s dedication and friendly character and asked the youth in the community to consider journalism as a serious field of study and proficiency to bring truth and awareness to the world! Referring to a prophetic tradition on the importance of education through writing, Imam Elahi said true journalism is a big jihad in the transformation of minds and hearts!